Mock Crest Tavern has a new band playing so come on in and help them feel welcome! Edewaard will start your weekend off at 9:00 p.m. on Saturday, February 21st. 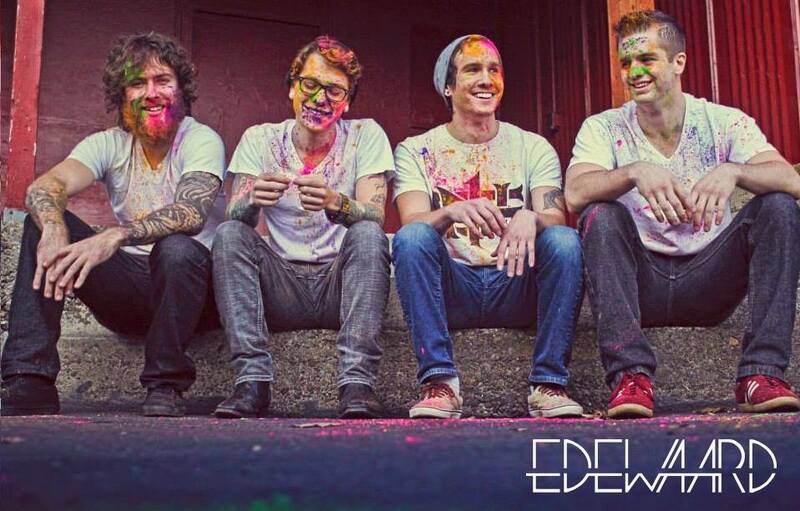 Edewaard (pronounced ED-ahh-ward) is an indie Rock n’ Roll band from Eugene, Oregon. They play genres including Rock, Classic Rock n’ Roll and Acoustic Rock. The band was formed by singer-songwriter Matthew Edewaard. Matthew had originally begun with a solo project which then developed into a 5-piece band. The band, officially formed in February, 2013, released their debut EP “Never Take Back” the following month. The CDs sold out within just a few shows! Although a brand new band, Matthew and rhythm guitar and keyboard player, Jered, hopped in a car and drove 16 hours straight to Costa Mesa to launch their 2013 “Toe in the Water Tour”. They played an acoustic show every day in cities including Burbank, Santa Monica, Pasadena and more in the Los Angeles surrounding suburbs. Not long after they toured in Idaho and then returned to California. Eventually the band released their second EP “Renominom Junction”. Vist them at Reverbnation to hear some of their tunes before the show. They’re also a hit on iTunes and you can follow them on Facebook. Join Josiah Payne and Friends Saturday evening at Mock Crest Tavern, February 22nd at 9:00 p.m.
From 2000 to 2007, Josiah, the lead member of the nationally touring band The Hot Strings, won two nationally known band contests, recorded an album, “Uncharted”, engineered by Brent Truit (The Dixie Chicks) and produced by Pat Flynn (former Newgrass Revival guitarist). He continues playing with various bluegrass, folk and indie groups including Wayward Vessel .